Growing herbs is one of the most pleasurable gardening experiences I had this year. I expanded my herbal plants from 3 to 9 this year. Next year, I'd like to add a mint pesto to the freezer. I enjoyed all of my herbs fresh this year and in early November, I cut back my thyme, rosemary, tarragon and oregano before the damp, rainy fall weather would inevitably return. All I did was place the cut pieces in a bowl. I left them on top of the clothing dryer and within a few weeks, they were nicely dried. I meant to package them up for holiday gift giving, but the time got away from me. I did it this week instead and a few family members will receive a nice surprise in the mail soon. They smelled wonderful as I was packaging them up! 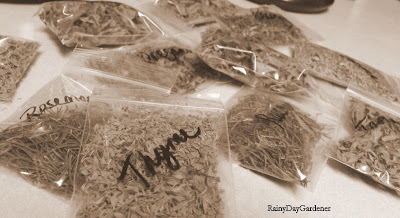 Another gift giving idea I've done in the past is to dry my lavender and put the seeds in organza bags for fancy sachets. Who knows how fresh the dried herbs you bought from the store are? 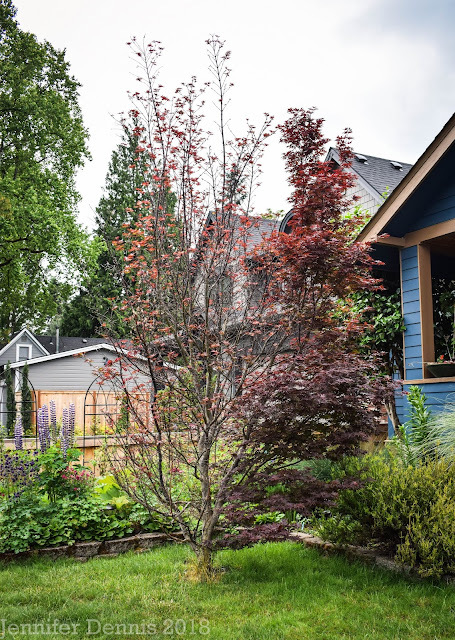 But, growing and drying your own gives you the option to use them fresh and enjoy them in the winter for savory winter meals. 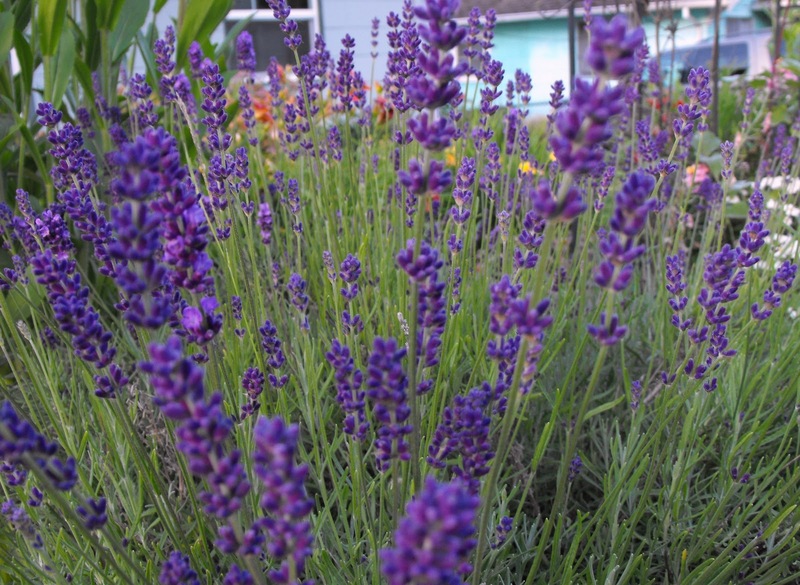 What is your favorite herb to grow? That is one healthy looking basil plant! My favorite herb to grow is parsley, because it's the one I use most often fresh. I should try your method of drying. 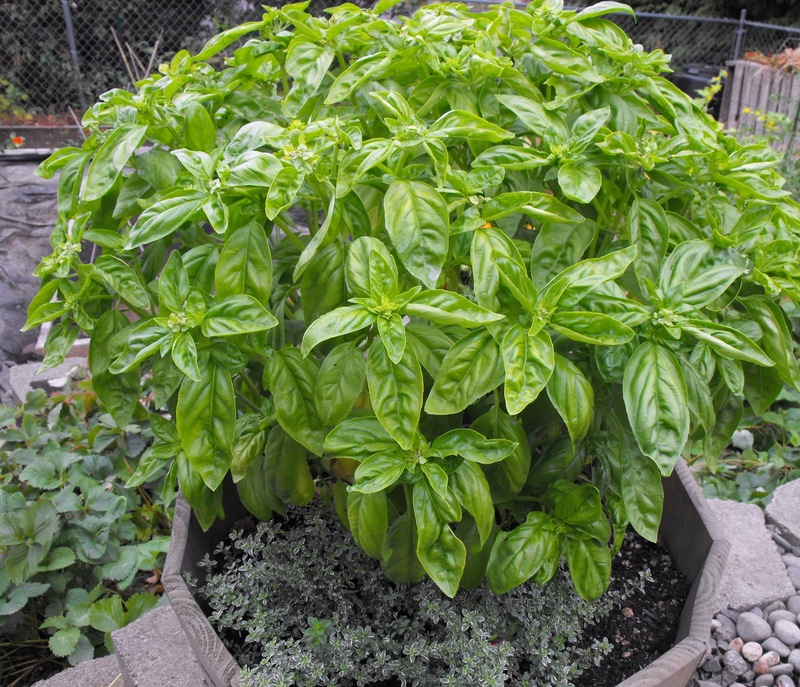 I've not yet had much experience growing herbs, apart from growing a bit of basil every now and then. One of these days I'd love to start a herb garden. 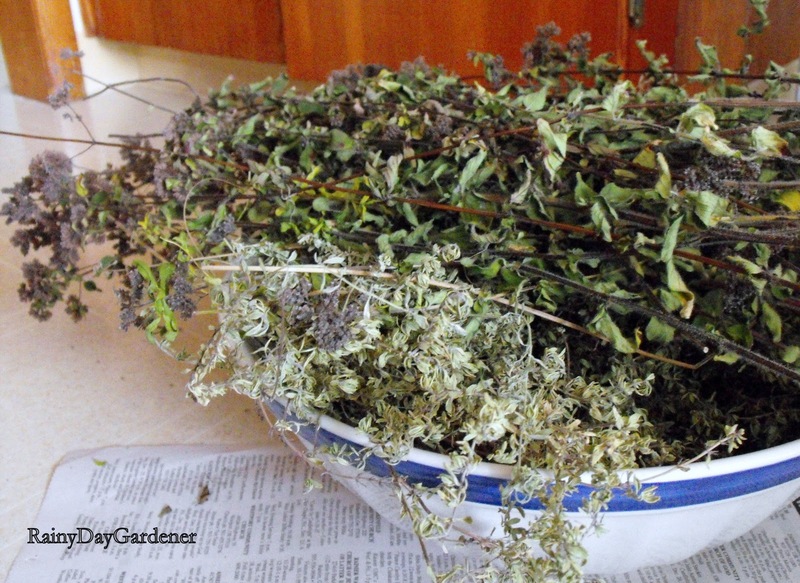 I never remember to cut any herbs to dry. Our rosemary is still looking good so I run out and cut some when I need it. I hung the lavender in the shed to dry, and it's still there. Did you do anything special to yours? Dry it first and then into the sachets. Maybe it's not too late to do something with mine. That basil is so healthy! I hope I can get mine to look like that this year. Your basil plant sure was a lovely big plant. Drying herbs is such a great idea. I used alot of parsley and coriander this year - as I managed to grow these from seed. I never liked parsley much until I tasted home grown. You guys are inspiring me to try parsley! I find parsley the most versatile herb to grow and it keep us very well provided most of the year with fresh herbs. I'd love to be able to grow basil and coriander better too though. I've had mint since we moved to the cabin: peppermint, spearmint, and chocolate. I always plant parsley and this year it is overwintering in the greenhouse. My sister got me hooked on thyme and it is doing great in the house and yesterday I bought a rosemary to go with it. I love your idea of the sachets with lavender. Which reminds me of your post about starting lavender and I was going to try that in the greenhouse. Sounds like a weekend project. Thanks. Yum, basil makes my mouth water but my plants never look like that. I've grown basil in warmer climes and it was beautiful, here not so much! 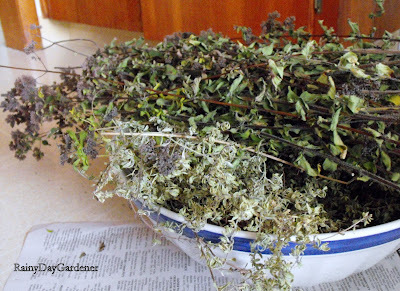 I did dry herbs for tea mostly and the spearmint smells wonderful this time of year. 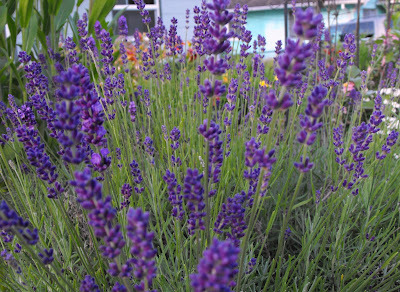 I've never done the lavender correctly though, I think I need a new plant! It’s cool how you included tarragon in the herbs you’re giving away along with herbs to spice up a dish! Tarragon is known to be an appetite stimulant, after all, so a good cup of dried tarragon tea should get one ready for some very delicious pesto pasta dinners! Haha!